A Month of Sundays is about everything we do on the weekend - Eat, Explore, Relax, and Shop. The quilts, sewing projects, and essays are all inspired by these four themes. 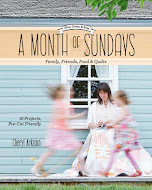 And each theme includes a number of prompts and tips for embracing the lazy Sunday afternoon. There is so much to say about this book, about the book writing process, about the photography, the photographer, and oh, the quilts! Then there are the essays, recipes, and 8 other sewing projects. This book is so intensely personal and I want to tell you everything about it. But I don't want to bore you with the details (and I want you to buy the book to see for yourself). 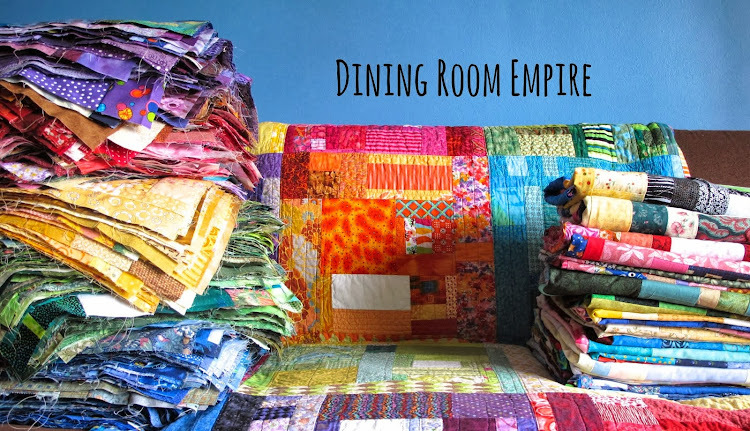 There are two quilts and two sewing projects per theme, that means 16 projects in total. All of them are designed with ease of use and creation in mind. They aren't necessarily meant to be finished in a single Sunday afternoon, but they can easily be picked at like a bowl of cherries - devoured at once, red fingertips to show for it, or nibbled each time you walk through the room. Oh, and did you know ALL the projects feature low-volume fabrics? Indeed, my own fascination with low-volume fabrics fueled the book. You could easily turn up the volume and embrace all your modern brights with each project too. I do hope you all love it. I'm looking forward to sharing more with you in the coming months, in addition to hearing from you. If you have any questions about the project comment here and I will try to add those my discussions, over a loverly cup of tea. I just got my copy the other day and I have enjoyed it very much as my bedtime reading (for now--once gardening season is over I plan to try some of the projects!) Thank you for the peek into your lives. Your kids are adorable. And I loved to read that you do popcorn for dinner too!! When hubby, who worked out of town, was told we would have that some nights, he was not impressed! But one night, when he was home, guess who suggested that for dinner one night!|! So, popcorn dinners are the best!!! And love that you do them too!!! Thanks for the memories and the laugh that I am not alone! But mostly, thank-you for books that I can not seem to put down for very long!!! Love it! Congrats on a truly lovely book, Cheryl. I'm sitting in the sun, while I watch my darling granddaughter play in the wading pool and the baby naps, reading your book on my iPad. Minutes after reading your blog post I was drinking in the beauty of your book...gotta love technology. Such wonderful photography and your book is full of the wonder of family and creativity.....two things very dear to my heart. Well done!! Already have my copy and have been enjoying it slowly when I climb into bed at night. Great book Cheryl. Just ordered mine. Can't wait to get my hands on it - especially for help with the low volumes. Congratulations and I will be buying it shortly. Looking forward to this book every since you first blogged about it. Better go hunt for it. Congratulations, Cheryl, what a huge deal this is !~! Can't wait to get my copy. Happy dance! I'm eager to get my hands on it! Yeah! I look forward to 'picking' one up next week. Save me one! Congrats on the new book. 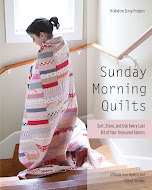 I really liked Sunday Morning Quilts and this one sounds just as good. Love the idea of low volume too. Looks like a truly lovely book, and I will most definitely be on the look out for it next time I visit the bookstore! I got mine too! Yay! What a wonderful treat it was yesterday to return from vacation, feeling a little down that it was over, and finding your new book in my mailbox! By evening we were unpacked and settled back in, and I spent a luxurious half hour before dinner relaxing on the front porch with A Month of Sundays and a gin and tonic. I am absolutely loving the "real person" aspect of the book, from pretend-sleeping in on Sundays as a teenager, to sharing a beer with a friend, to skipping rocks across the water with the kids. I love the discussion of color and light in low volume quilts. And of course the projects look wonderful too! I can't wait to finish up work for the day and get back to the porch with A Month of Sundays. P.S. If you ever find yourself near Chautauqua Lake, NY in the summertime, we would love to treat you to a sail. It's not the Atlantic, but I can promise lots of laughter and beer. Cheryl - your book just arrived - I have been waiting (not very patiently) since I placed the order for it to arrive. I LOVE this book - the photographs, the quilts for inspiration - especially I love the quilt called Sherbet - the recipes, and all the great suggestions and fun. I can hardly wait to read it all. This book sounds delightful! 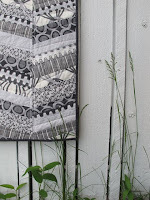 I've had my eye on Sunday Morning Quilts for quite some time. Now I guess I had better get them both! Such lovely combinations, I can help I've sent you an e-mail. 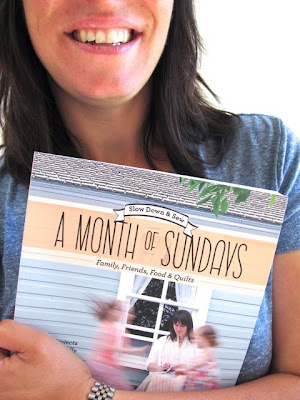 Love both your Sunday quilt books! Especially the feeling of wrapping a quilt around us!